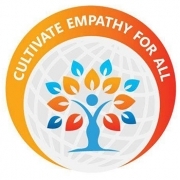 We are a volunteer group of empathy enthusiasts who are bringing back the culture of empathy in government, business and social work sectors through system thinking. We reach out to various groups, companies and organizations in the community and provide free presentations on ways in which empathy could be applied in their context and setting. We need someone who is proactive to reach out to various organization, preparing presentation independently that speaks to the hearts of the audience and providing the presentation based on client's convenience.